Heading to the School Nutrition Industry Conference (SNIC) January 13-15, 2019 in Austin, Texas? 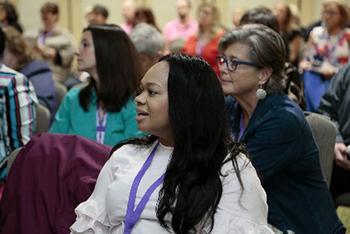 Plan to come a day early on Saturday, January 12 and choose from four different pre-conference sessions at a variety of pricing levels designed to suit your budget and professional interests. A must-do for those thinking about taking the School Nutrition Specialist (SNS) exam, the SNS Prep Course is based on the SNS Exam Study Guide and covers key content areas. Taught by subject matter experts, it provides key resources and concepts to help you prepare effectively. Join us for an exciting field trip to Austin Independent School District, where you’ll gain practical ideas from their mobile serving options, innovative school breakfast service, made-to-order food bars, student culinary arts competition, family-style meal programs, clean-label procurement initiatives and much more. School breakfast/lunch is included. Equipment purchases involve another level of complexity in the procurement process. Listen in to this panel of experts to learn best practices to adopt—and pitfalls to avoid—to ensure a smooth, compliant procurement. Remember, conference registration is required before hotel reservations can be made at the JW Marriott Austin at the special SNA rate, and rooms fill up quickly, so don’t miss out! Register now.